Hi welcome to my parts for sale, because you don't see it that doesn't mean I don't have it. 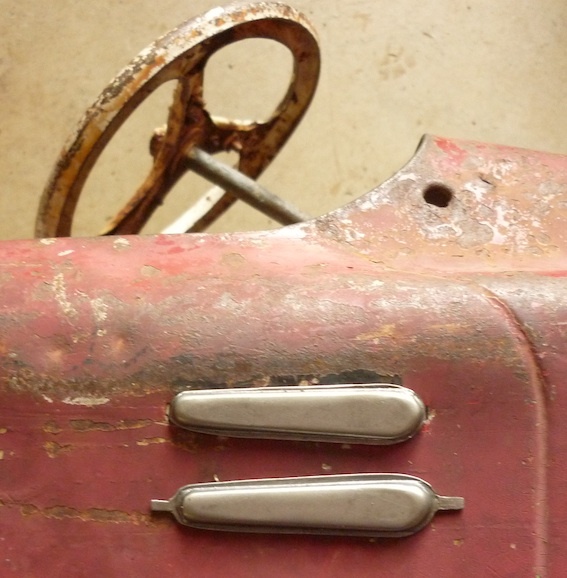 With the experience of restoring many pedal cars over 30 years I have found it more complimentary to the pedal car to replace some items reasons being if you go to so much trouble restoring a pedal car why let it down by using damaged or broken parts as well as trying to re-chrome items you will save time and money with my genuine replacement parts. 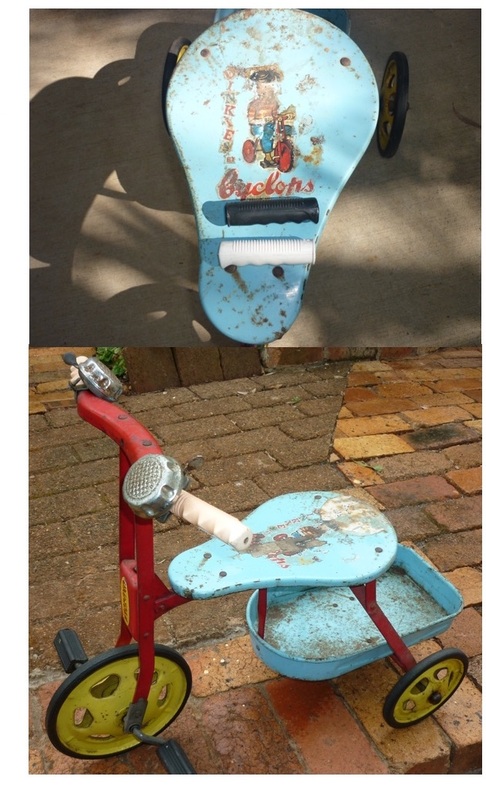 Because you don't use it doesn't mean you have to throw it out save them for a pedal car you feel doesn't need restoration and just happens to need what's on your shelf. Due to todays society all my items, including parts, toys, pedal cars, etc. are only sold for restoration purposes. They are not sold as toys or child friendly products. 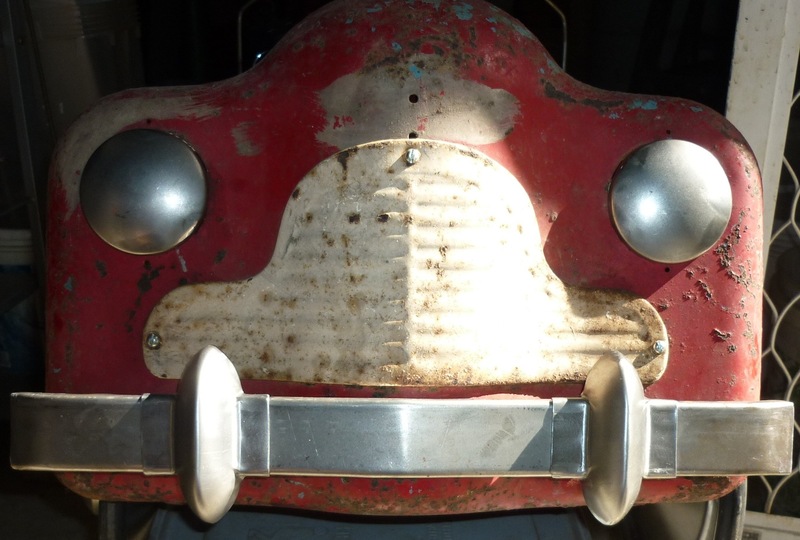 They are made to mimic old original parts and items for restoration purposes, which may no longer meet Child Safety requirements. 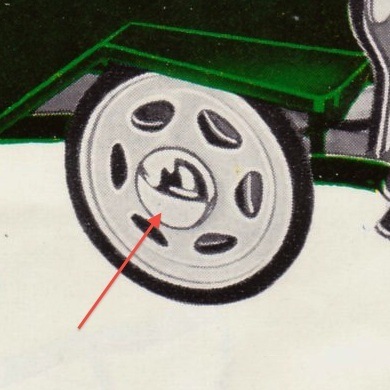 This Wheel is Also suitable for Triang pedal cars. 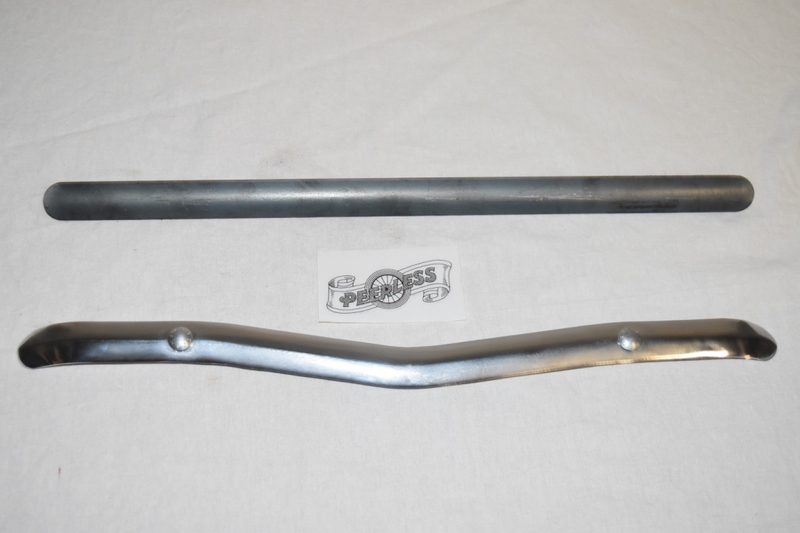 Will fit Packard, Buick, Chrysler. 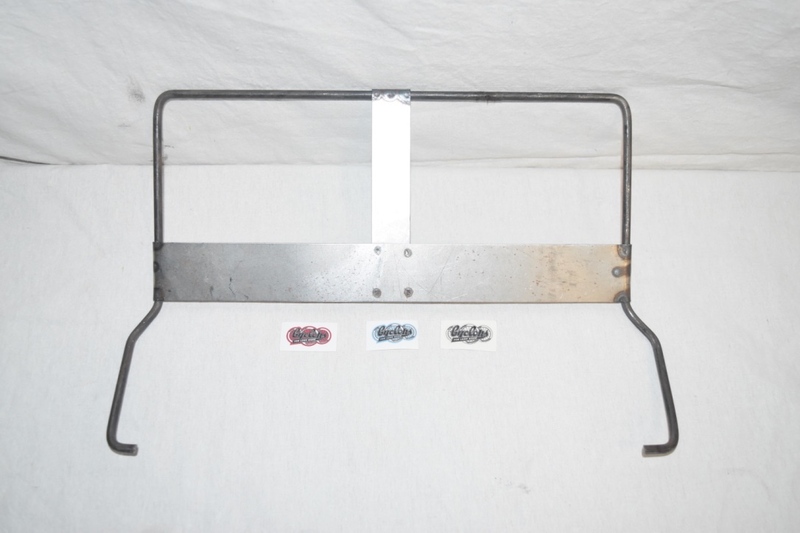 005 B - Mounting Brackets $15.00 each. 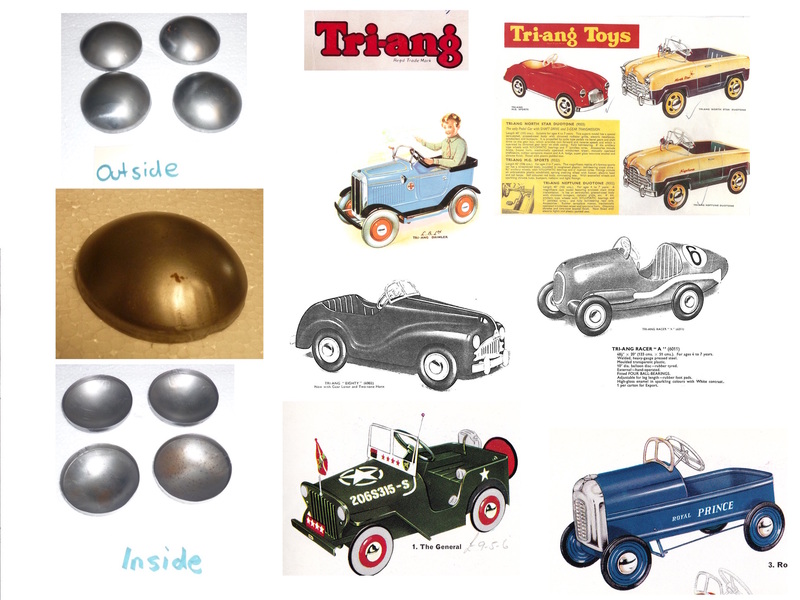 Suits Pre-war pedal cars - Packard, Buick, Pontiac, Bedford, Dodge, Chrysler Oldsmobile, Vauxhall, Sports V8, Reo.etc. THE OFF AND ARROW WILL ONLY BE ADDED WHEN REQUESTED. 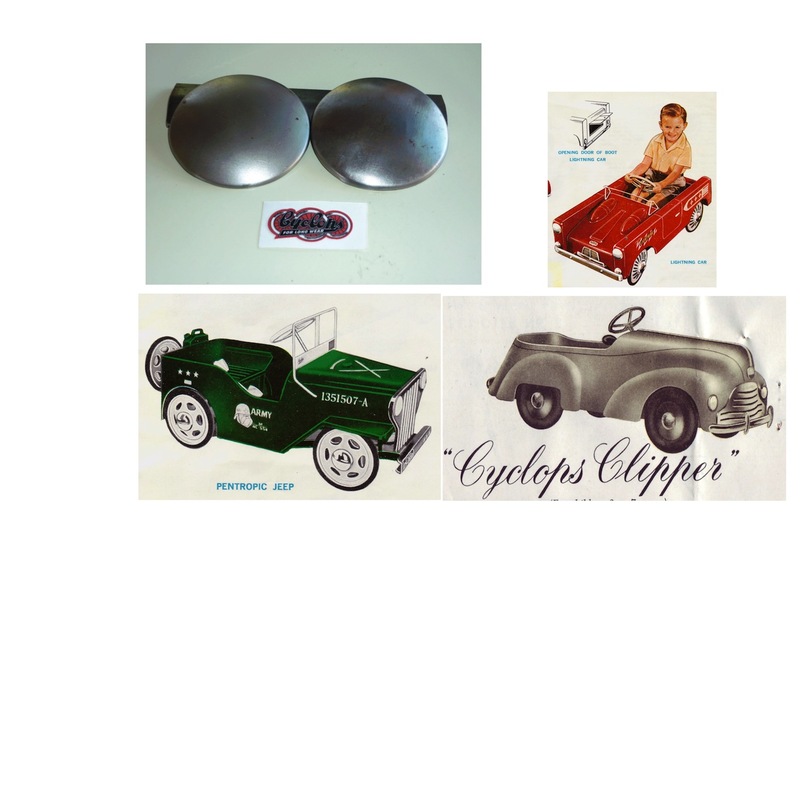 Suitable for Cyclops Clipper, Lightning or any pedal car you like. Metal cup and embossed lens. 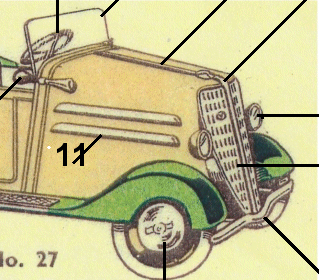 Will suit pre-war Cyclops and Peerless chain driven pedal cars. 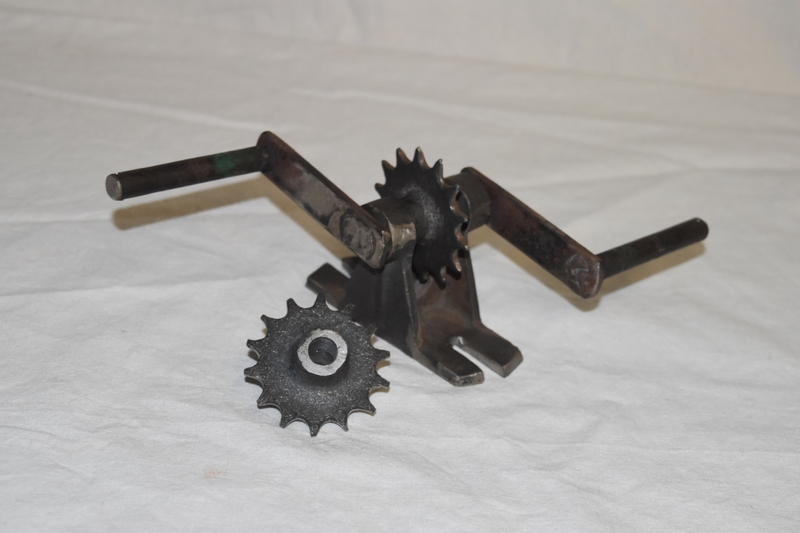 Cast metal case and cog, like original part. 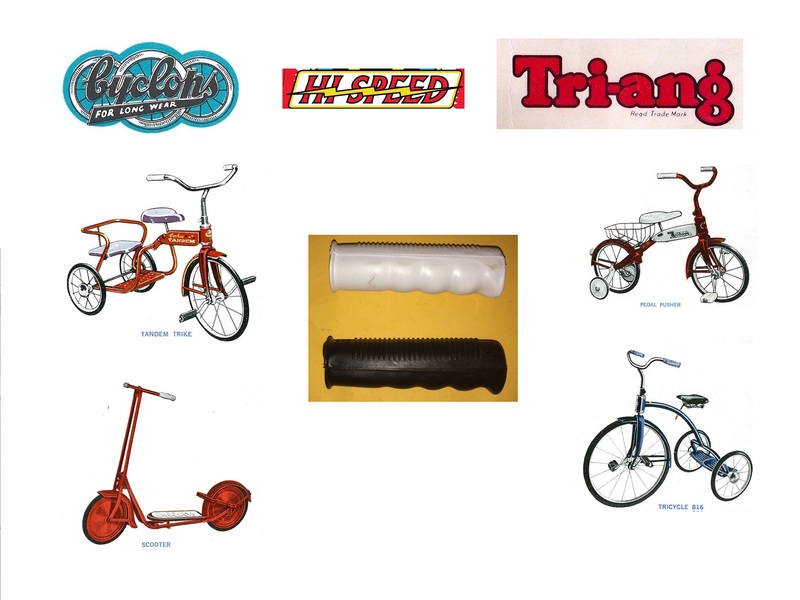 Cyclops, Peerless, Holden etc, tricycles. 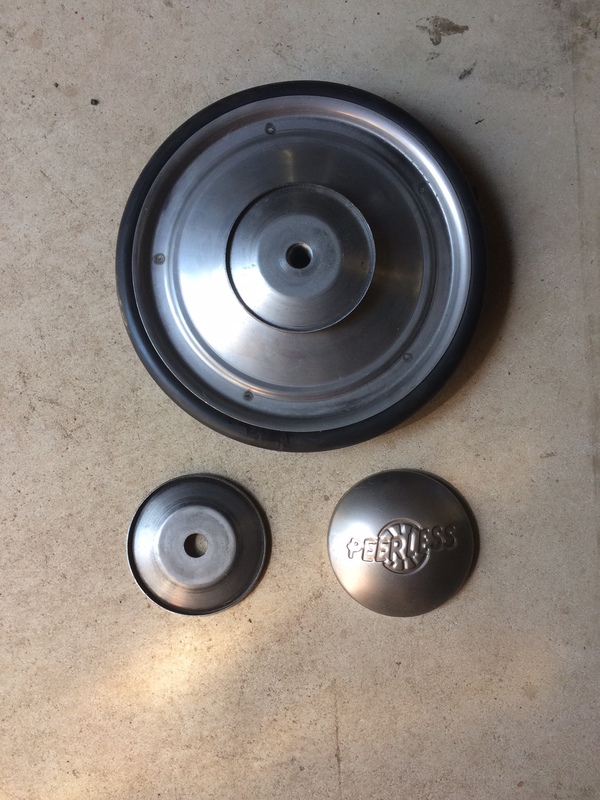 Mascot (un-chromed) and transfer set. 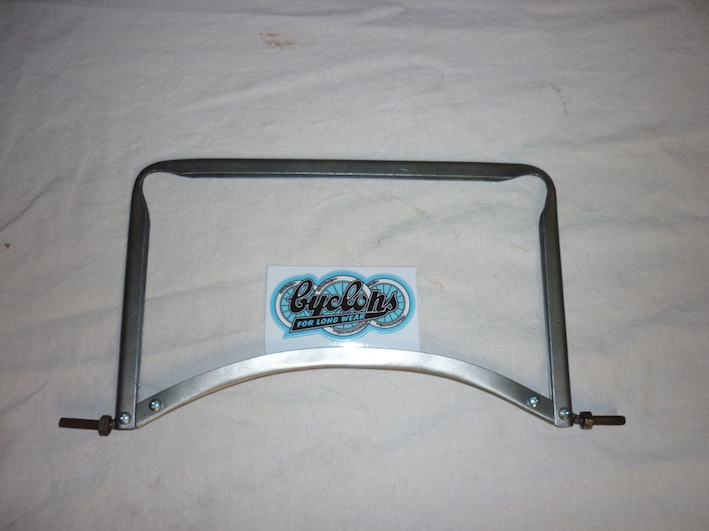 This type of steering wheel was used on pedal cars from 1950's to 1970's, will suit Cyclops, Triang, Hi-Speed, Mobo, etc. 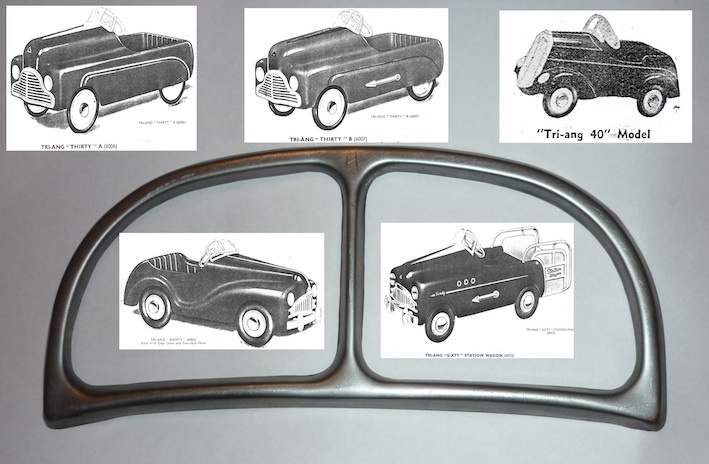 Will suit all the pre-war range pedal cars from 1936 to 1941 that were fitted with head lights. 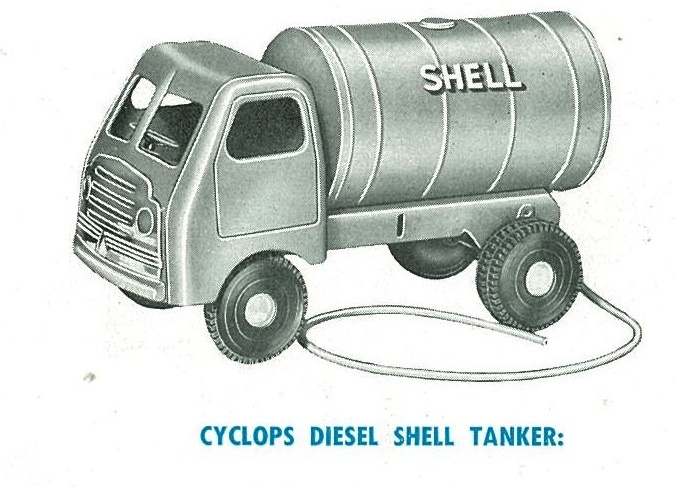 This crane will suit both Triang or Cyclops Crash Wagon's also the Triang Super Tractor. 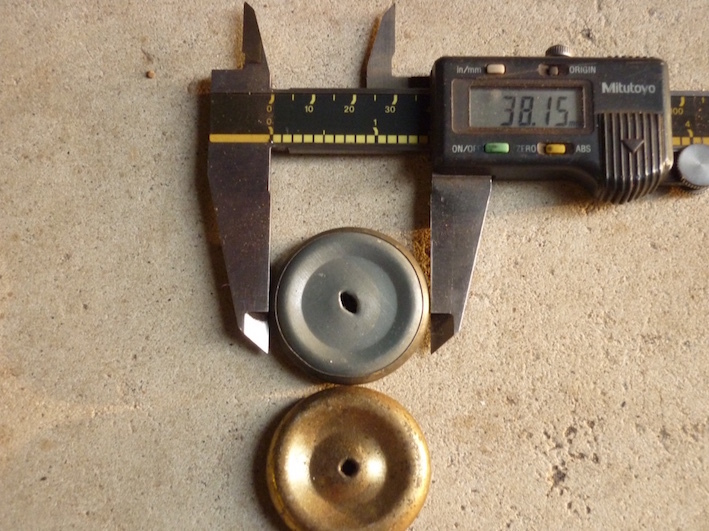 Pressed metal hub cap Approximatley 76 mm O-D or 3", (You need to attach the four tabs to attach to wheel if necessary). 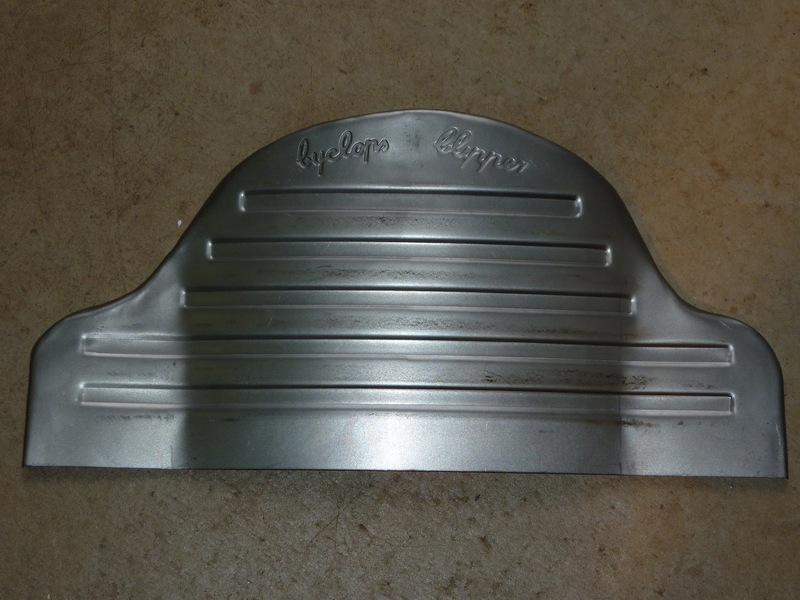 One image shows ripples in the metal which occurs when I press them I do try and remove them but sometimes you can still see them. 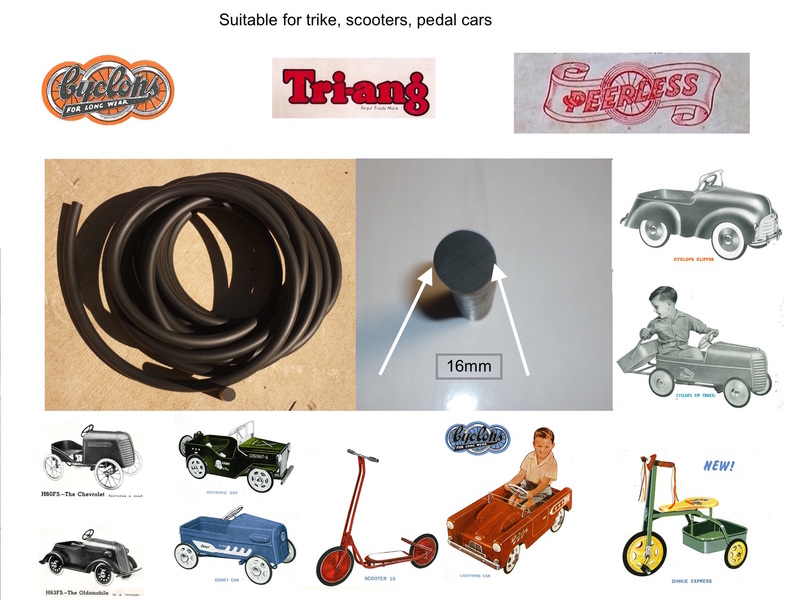 Some examples of pedal cars and wheels they were used on are shown. 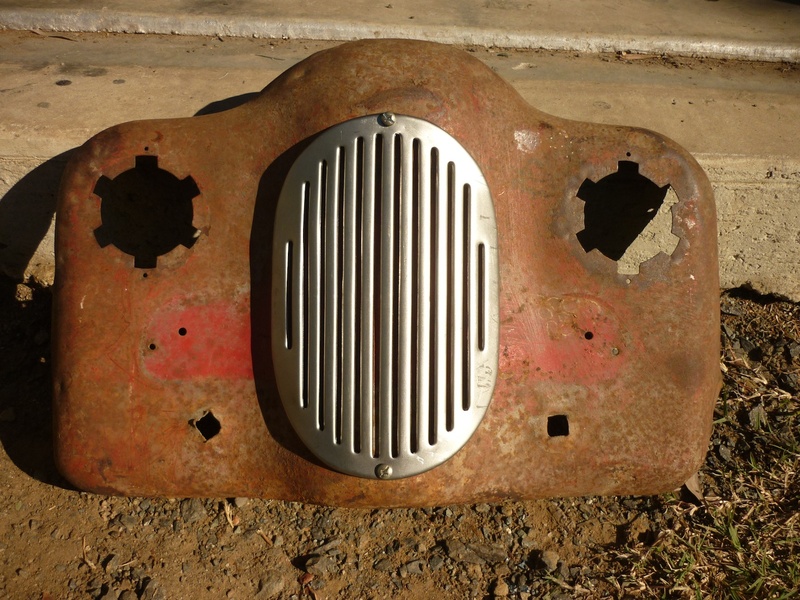 This grill will fit the Cyclops Lightning pedal car and it will also fit the small tin trucks. 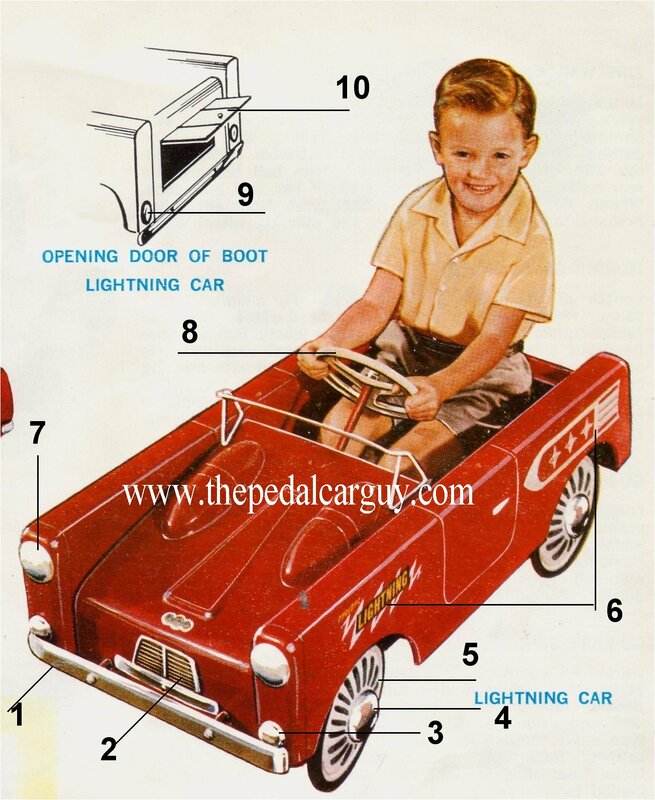 Made to suit a range of pedal cars made by Cyclops, Packard, Chrysler, Oldsmobile, Buick, Clipper, Lightning etc. 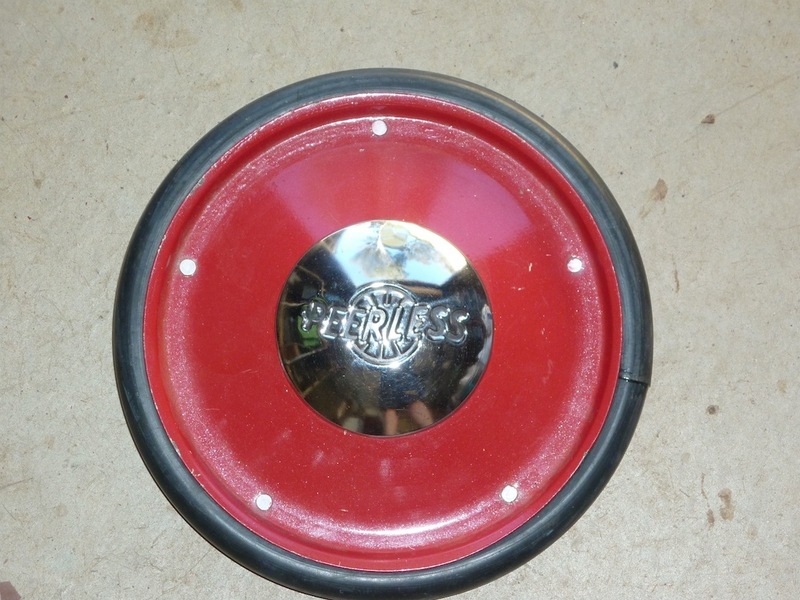 This version of wheel is made like the original, solid on both sides. 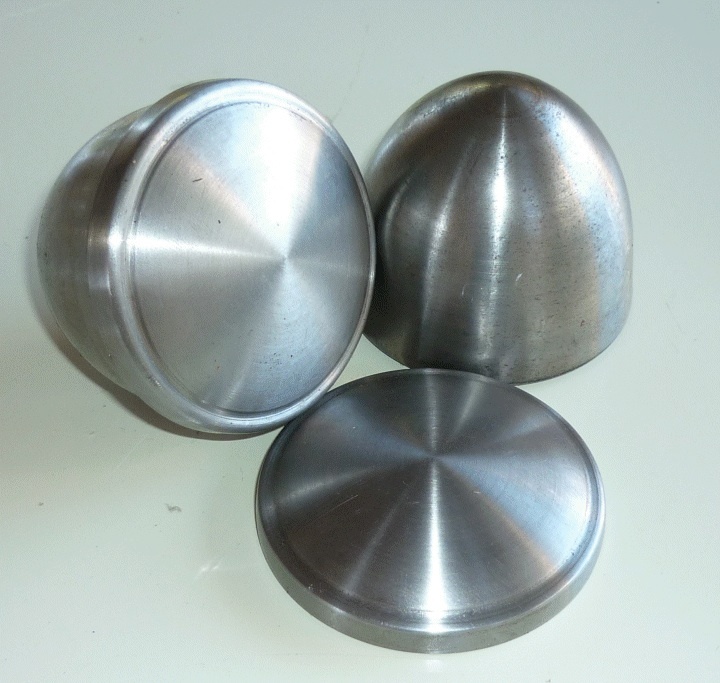 7-1/2" (190mm) 7/16 (11 mm)centre bushes. 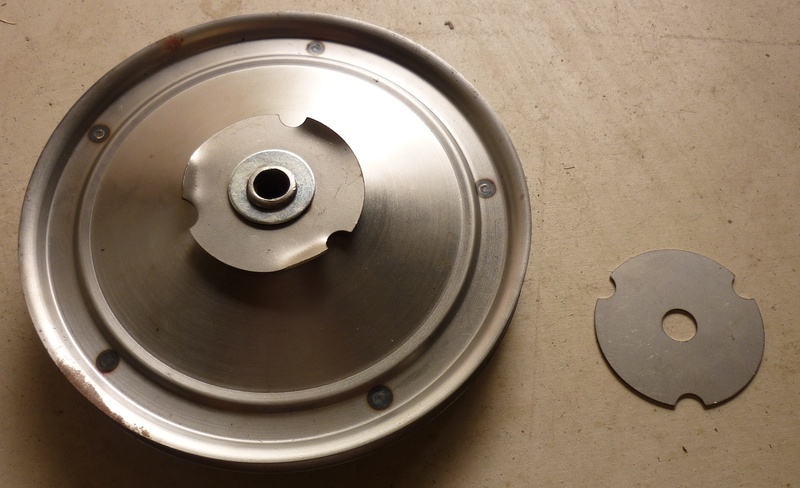 No Hub Cap mount holes. 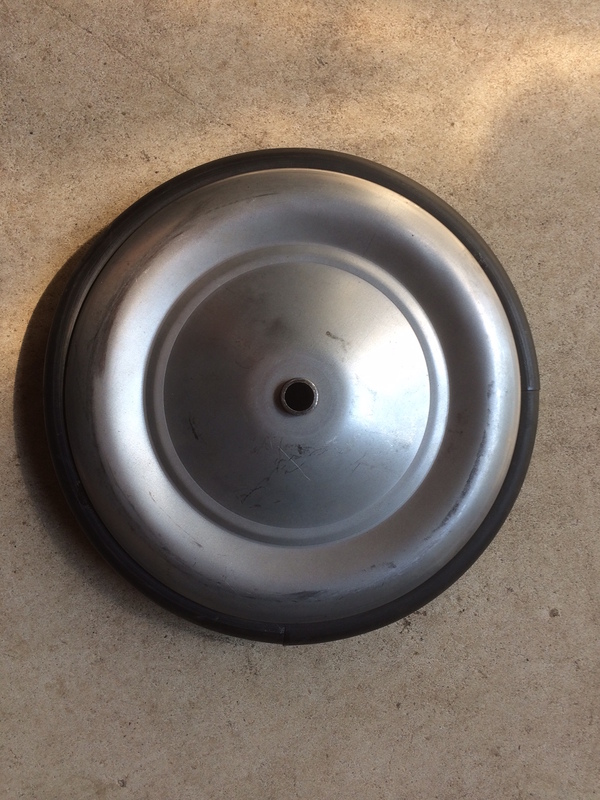 Requires hub cap locater holes (triang had several hub caps with different locater holes). 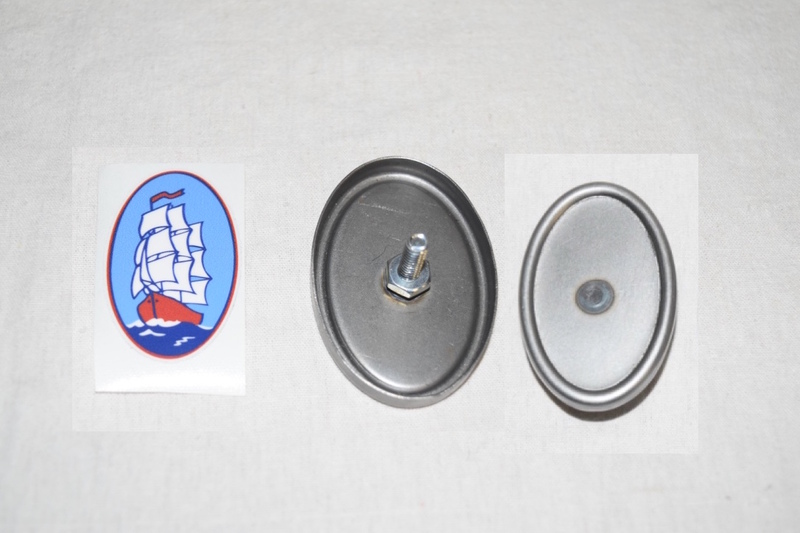 Can supply part 030 hub caps without tabs. 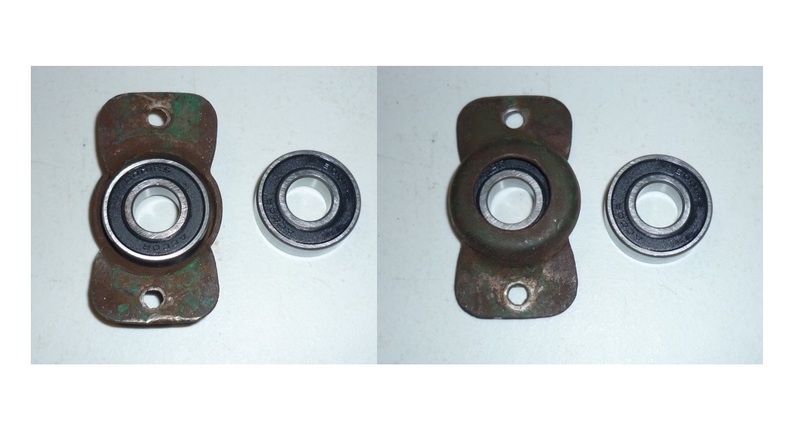 No drive wheel supplied you will need to make your own custom drive washer and attach it. 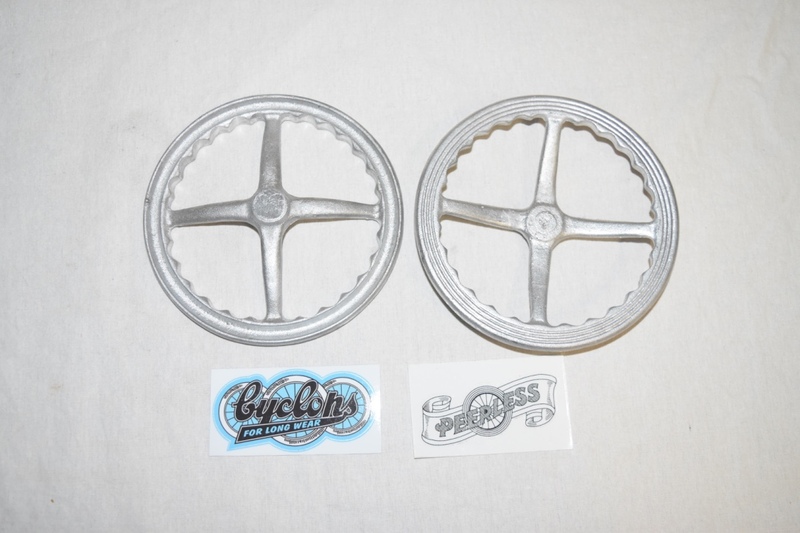 These hub caps are similar to the originals used in the late 1930's they have cyclops embossed in them, four tabs are atached and similar to original, this part will replace that hard to find missing cap and is and looks as good as the original. 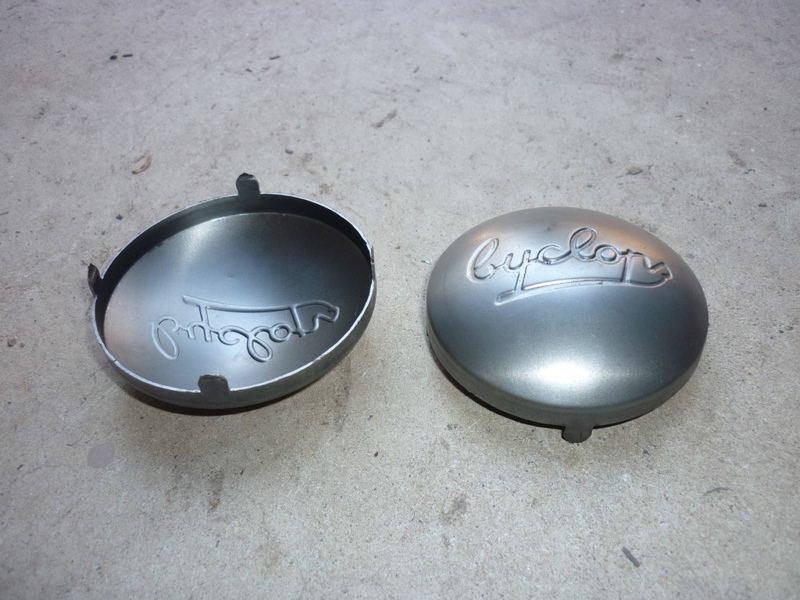 Ready to be painted or chrome plated. 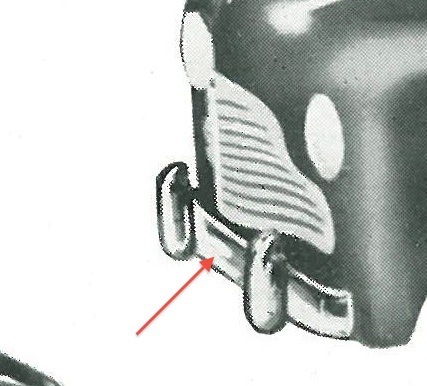 These bumpers are made for Cyclops Clippers. 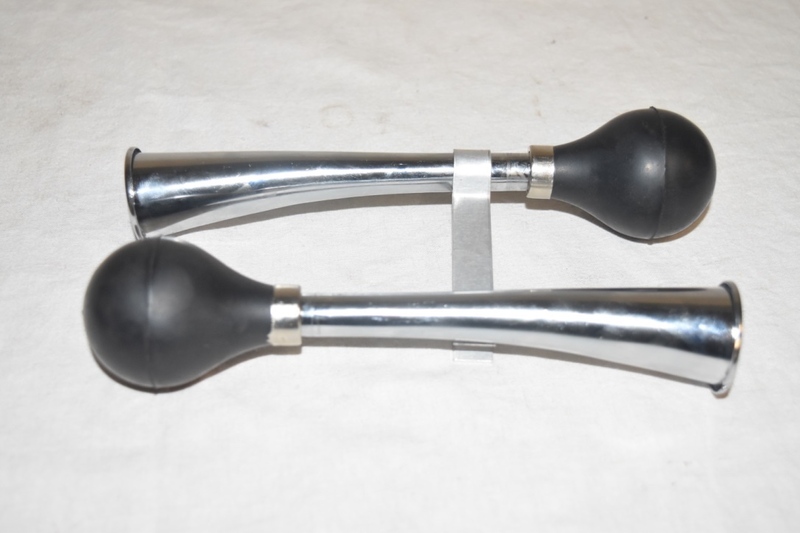 They are bare steel require painting or chrome plating. 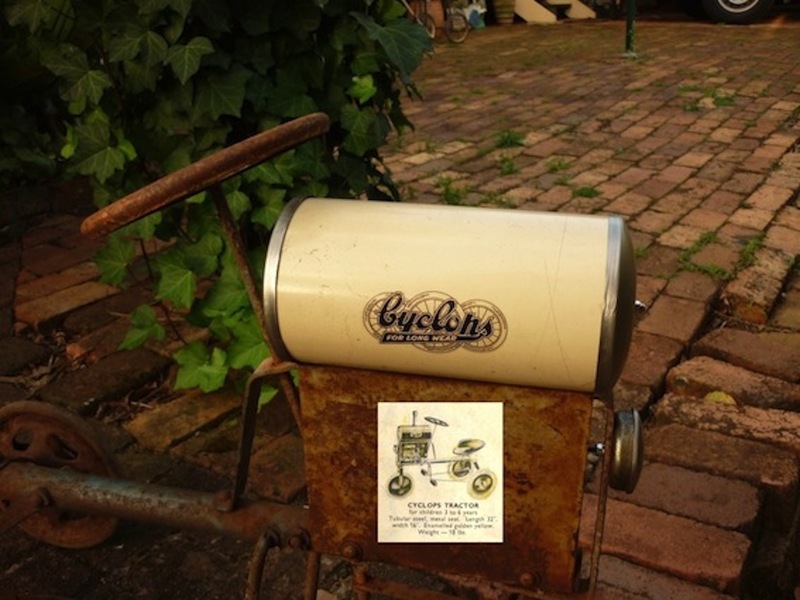 This is a single rib style wheel used by Cyclops on a range of pedal cars such as, comets including tippers, car sixty, station wagons including crash wagon, contractor, jeeps, flivver, jupiter etc. 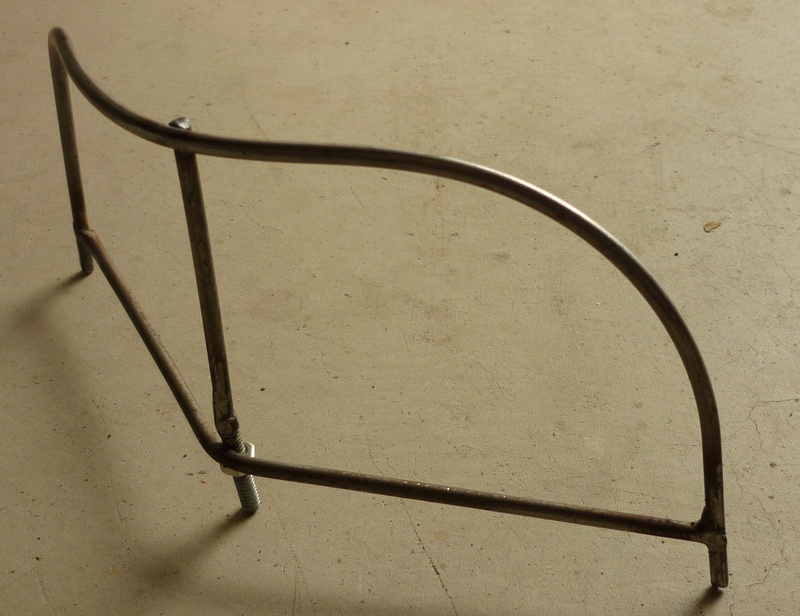 The wheel is bare steel and requires painting, 7 3/4" disc wheel and with tyre 8 1/2" (215mm)tyre included. 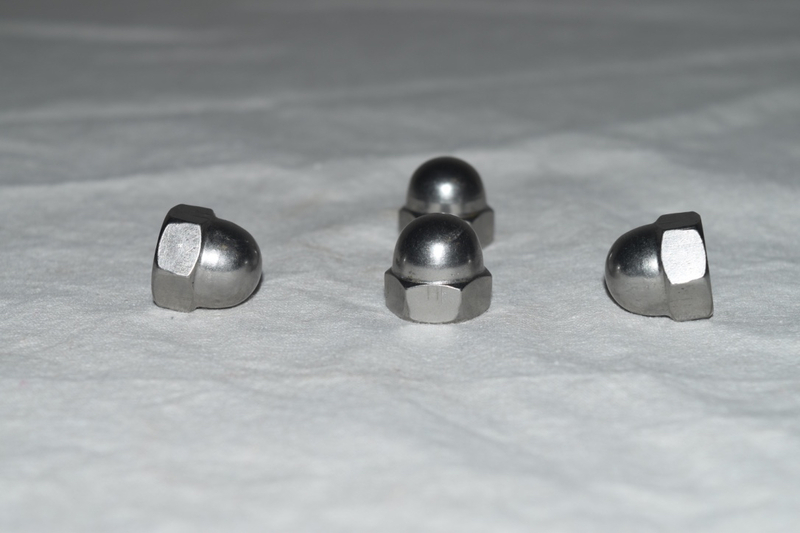 Optional hub caps available parts 006 and 007. 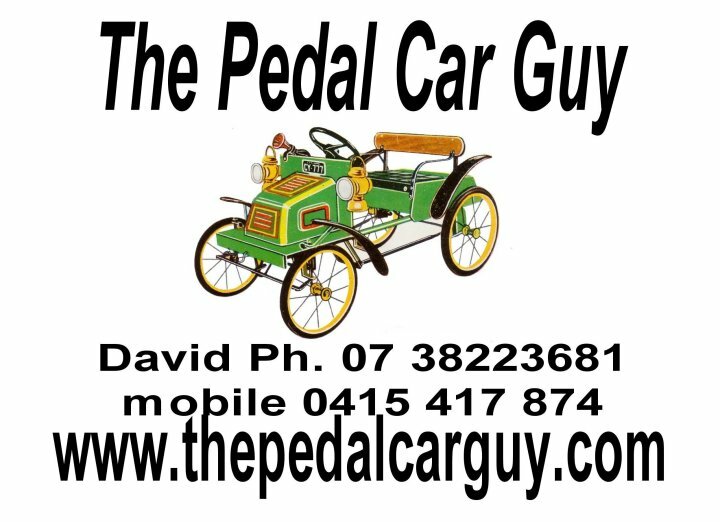 Tyres Only $15.00 $55.00 each. 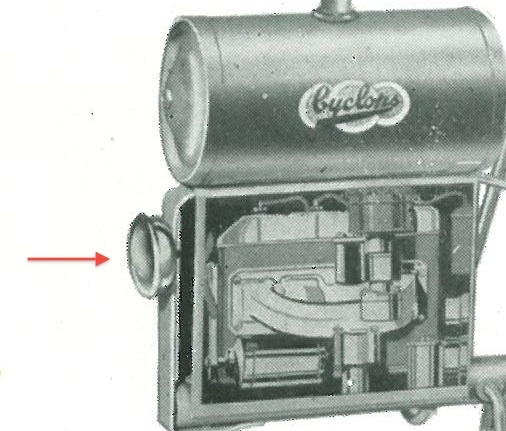 Metal tank and end caps made the same as the original including small chrome dome nuts either end of the tank caps . 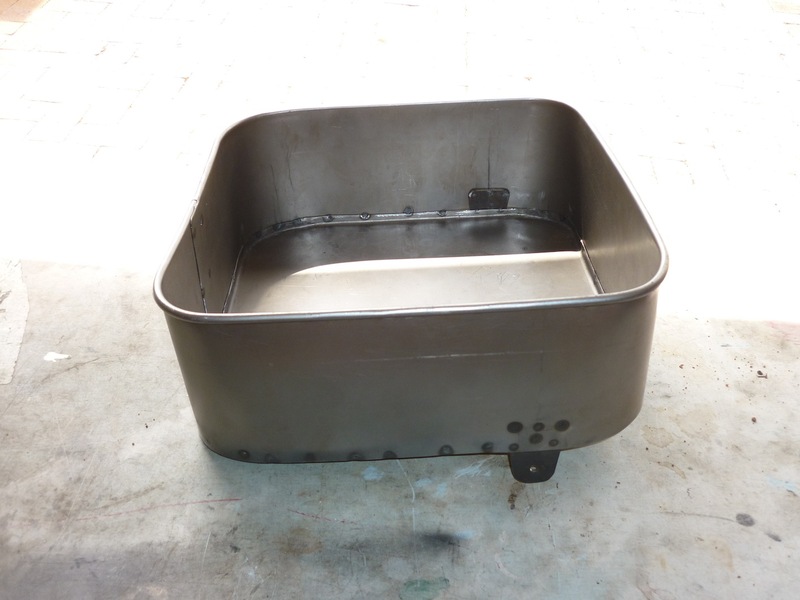 Tank Is Bare Steel Requires Painting And Chimney/exhaust Hole If Required. 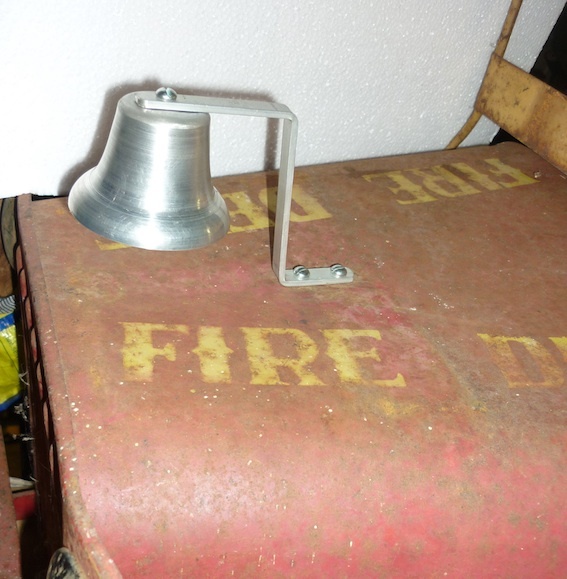 New Metal Light with original mounting case. 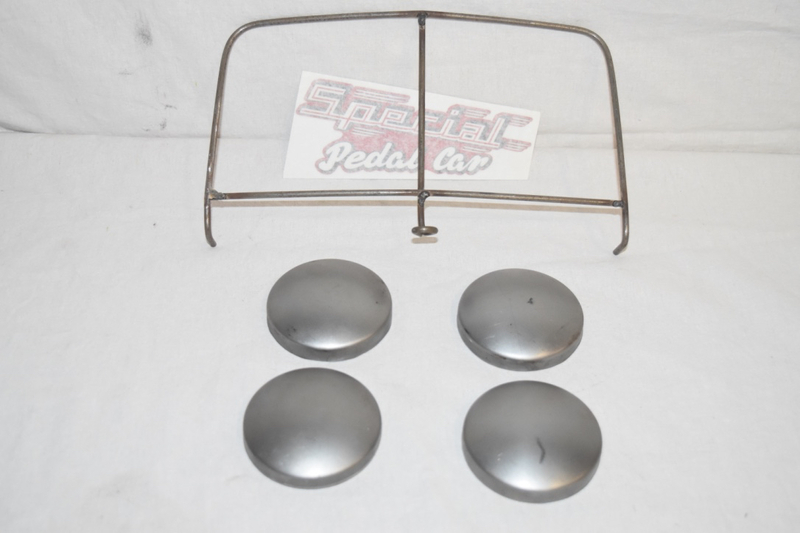 Metal hub cap made to suit the 1960 Cyclops pedal cars including, Jeeps, Lightning, Comet Racer and Tipper, etc. 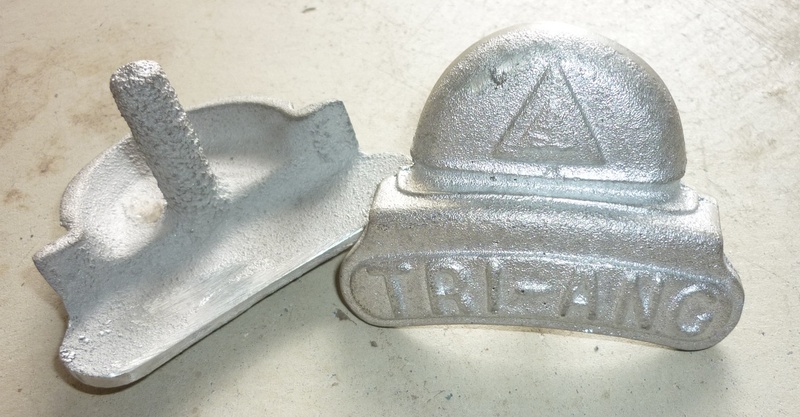 Tray will fit Cyclops and Triang Comet Tippers. 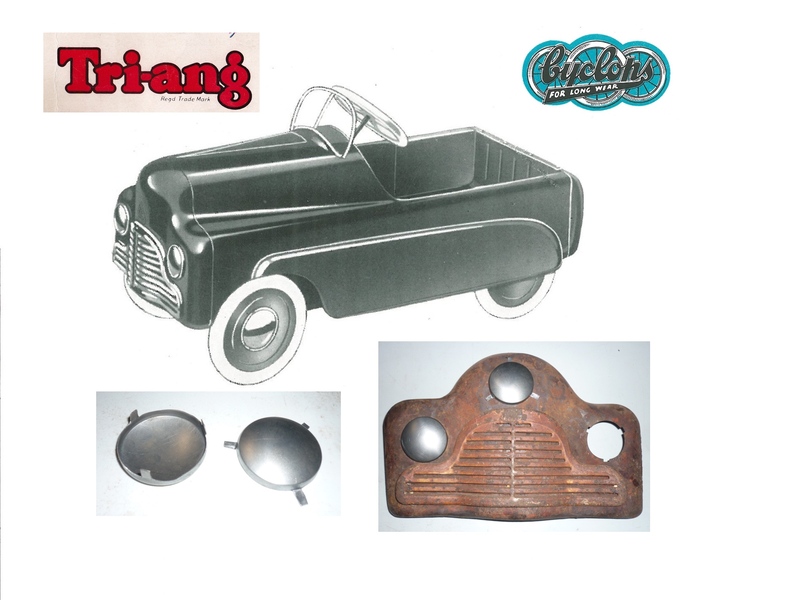 This tray will suit early pre-war style tippers such as Reo, Bedford, Motor Trucks. 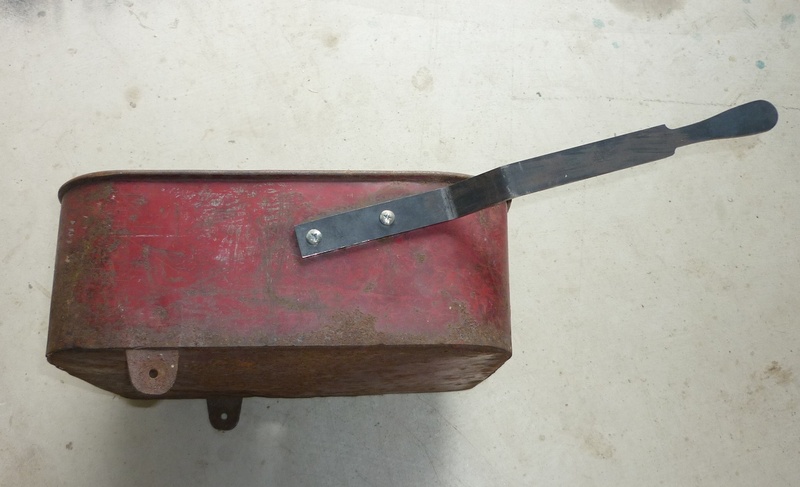 Bell for range of pedal cars. 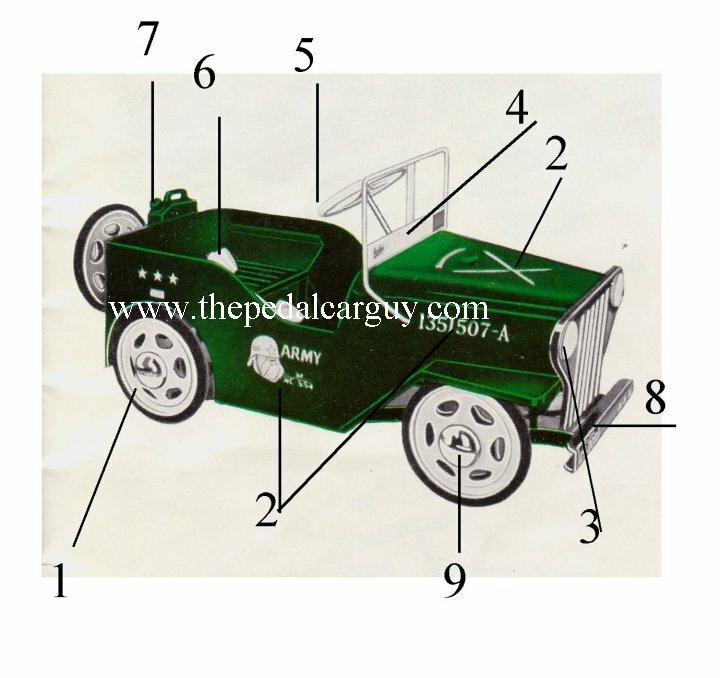 7/16" suit most pedal cars. 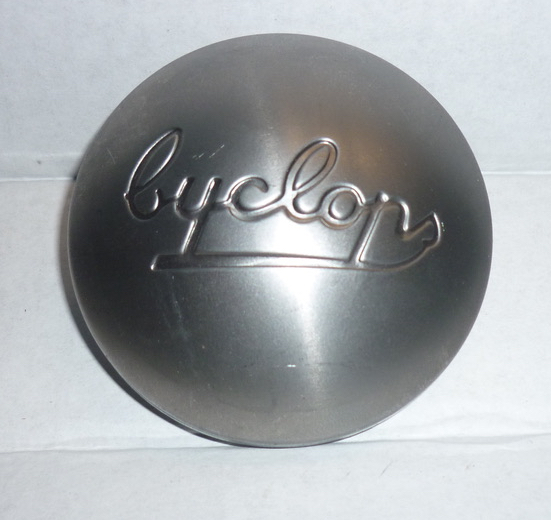 Hub Cap Flange to suit Cyclops wheels. 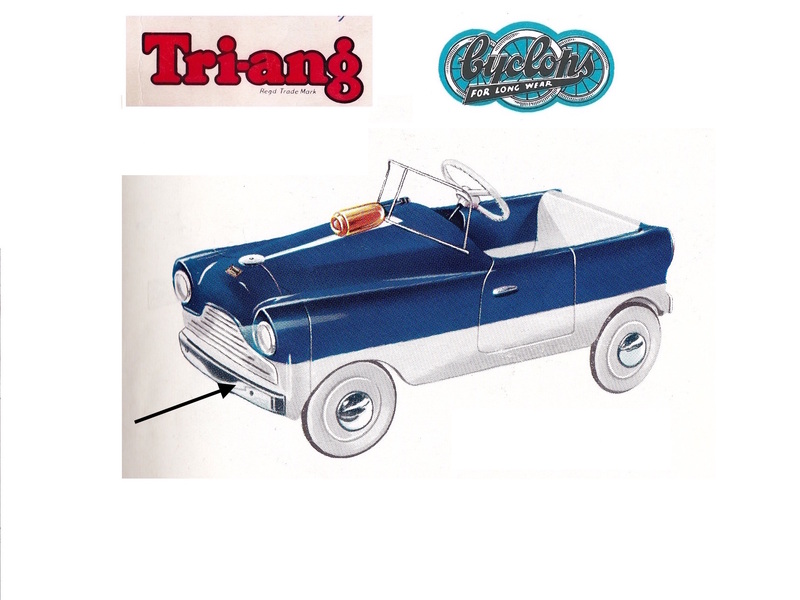 Triang Oval Grill to suit Triang Racer's. 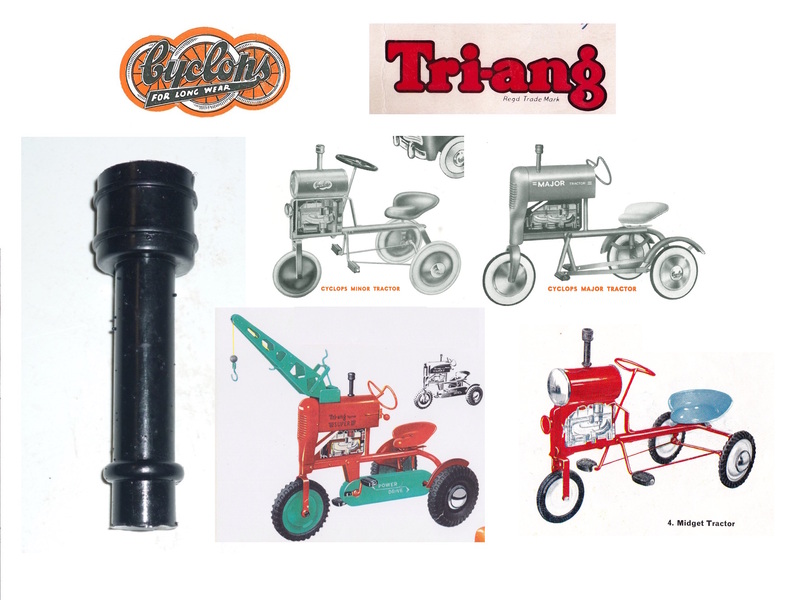 Suits a range of Triang pedal cars, Car 80, Duke, Epoch, etc. This item is available but will only be made when ordered. Sold Out Orders excepted. 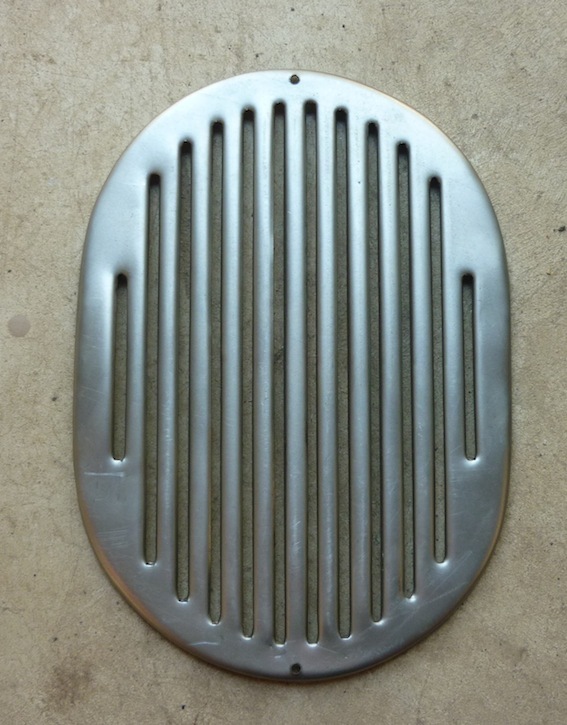 You will need to polish grill, this one has had a quick polish to show you how they will look. 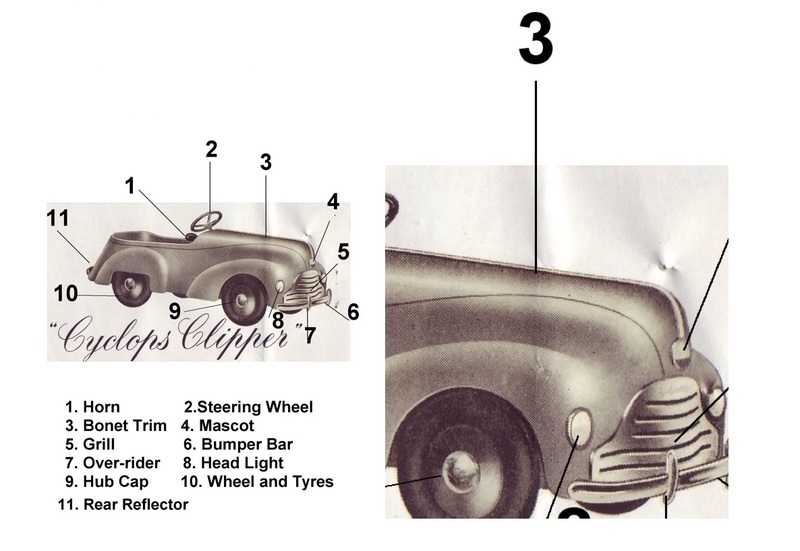 Cyclops, Triang Car 30 Headlights. 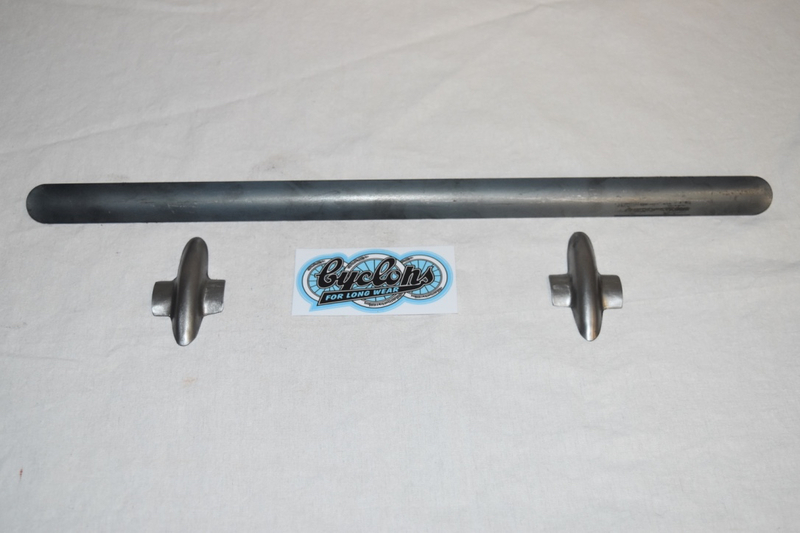 Hand Grips for Cyclops, Triang, Hi-Speed and other brands of dickies. 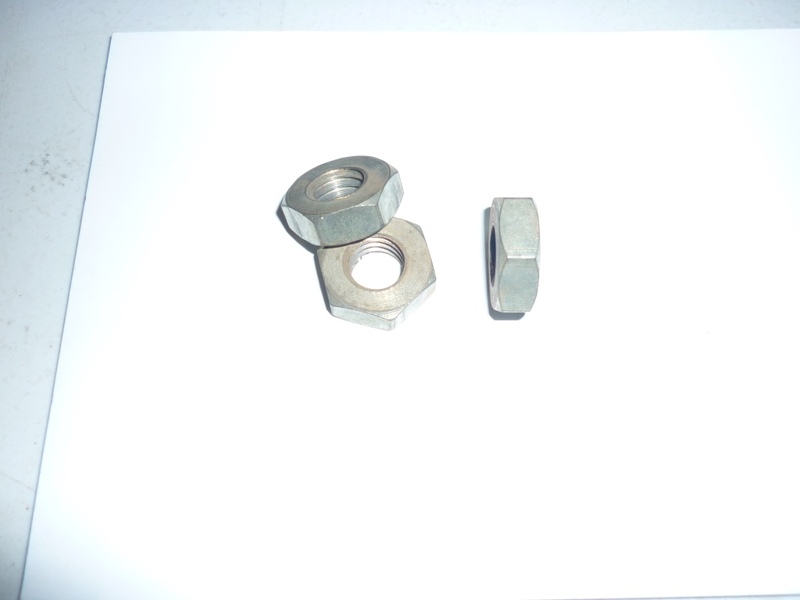 16mm id. 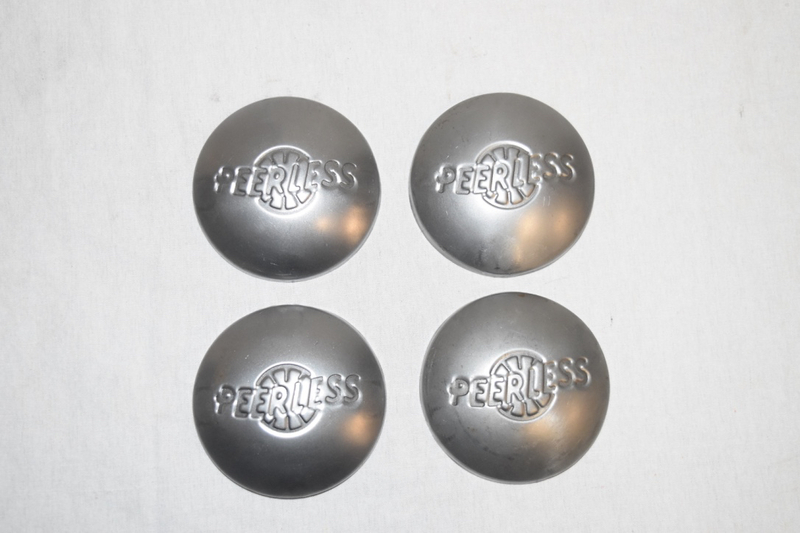 $5.00 each $10.00pr. 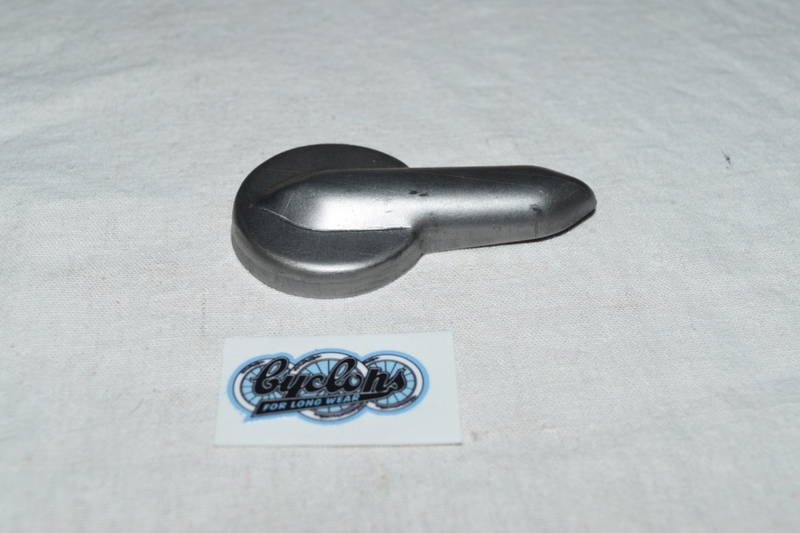 Hand Grips for Cyclops, Triang, Hi-Speed and other brands suite larger tricycles. 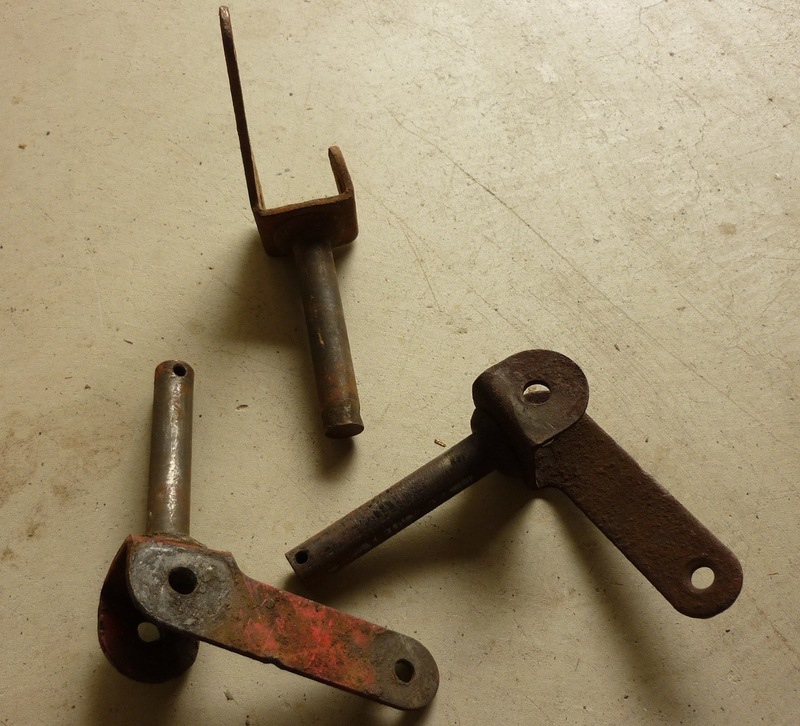 These are old shop stock I got from a shop that use to repair boomaroo toys. 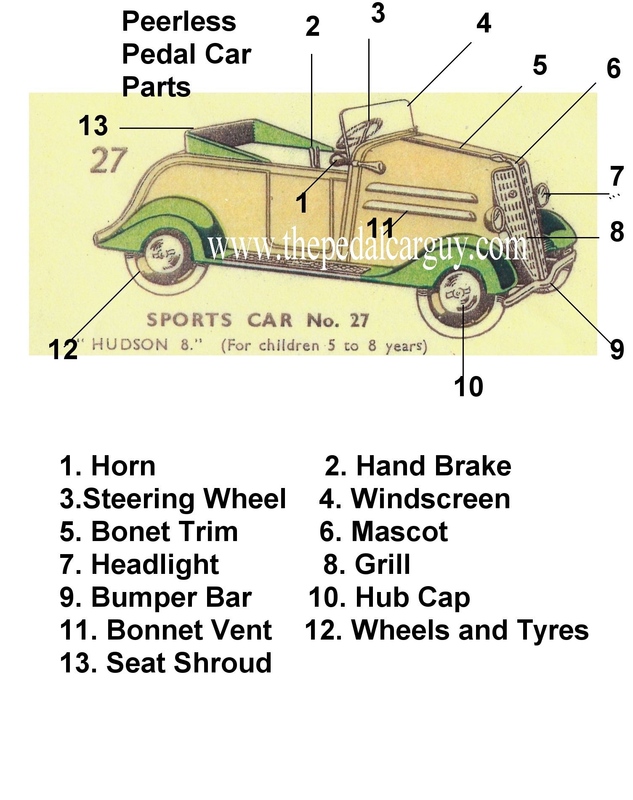 part 099 Holden Pedal Car Steering Wheel. 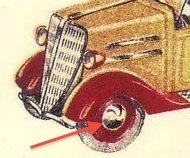 part 98:- 16mm Rubber Cord is substitute for old style tyres. 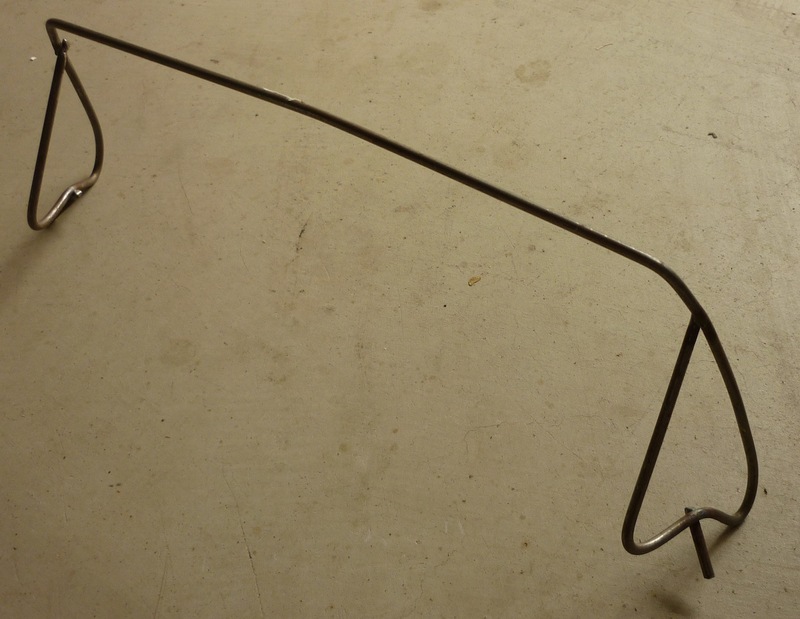 This is is a solid round cord you cut it to length and glue end to end. It does not have a wire centre. 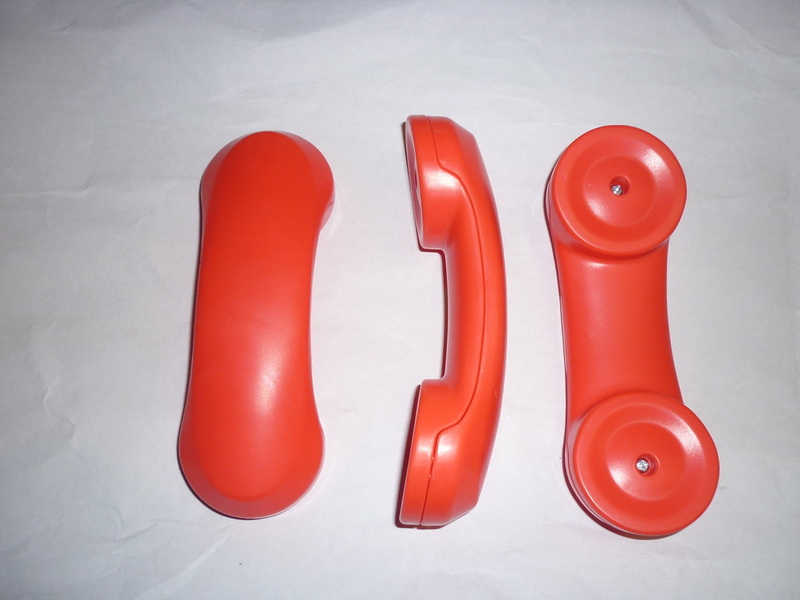 Old style rubber with a wire centre is no longer manufactured. 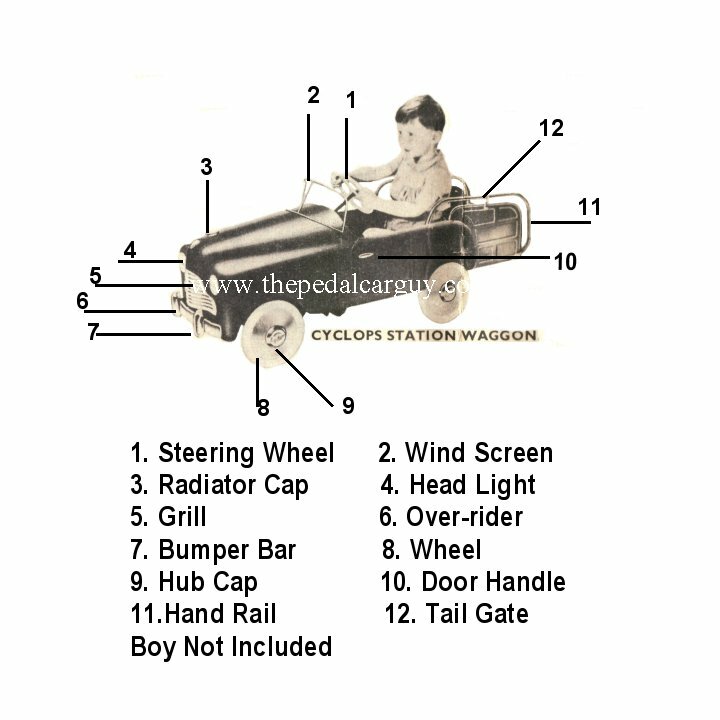 Can be used on the styles of toys and wheels in image and many more. 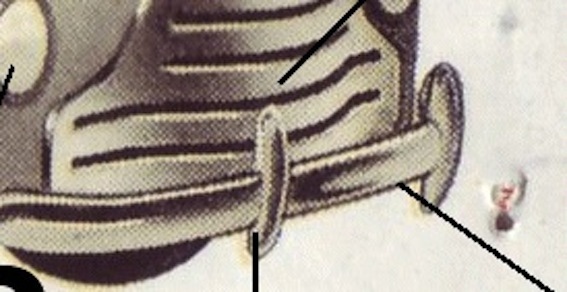 part 099:-19mm Rubber Cord is substitute for old style tyres. 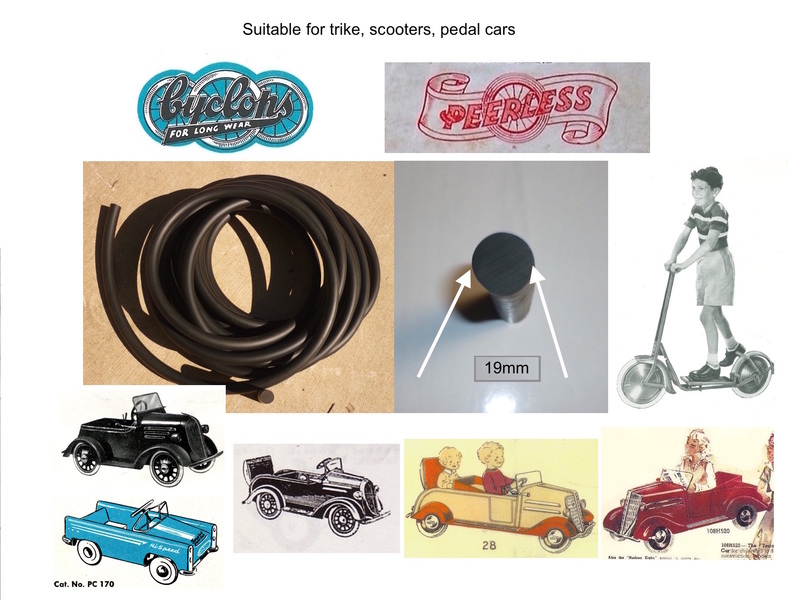 ALL ITEMS, PARTS, PEDAL CARS INCLUDING NEW OR OLD ARE SOLD FOR RESTORATION PURPOSES ONLY THEY ARE NOT SOLD FOR OR AS TOYS TO BE PLAYED WITH. 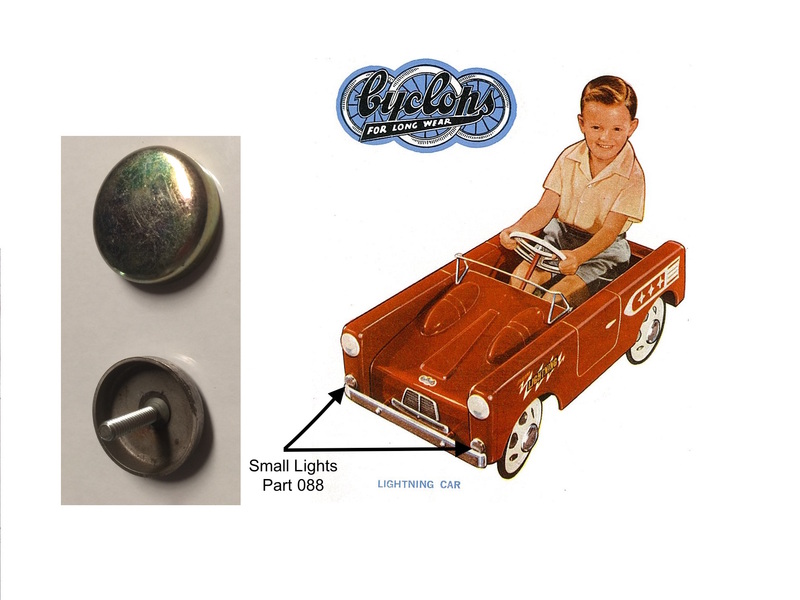 PARTS ARE SOLD AS REPLACEMENT PARTS FOR PEDAL CARS AND NOT AS TOYS. 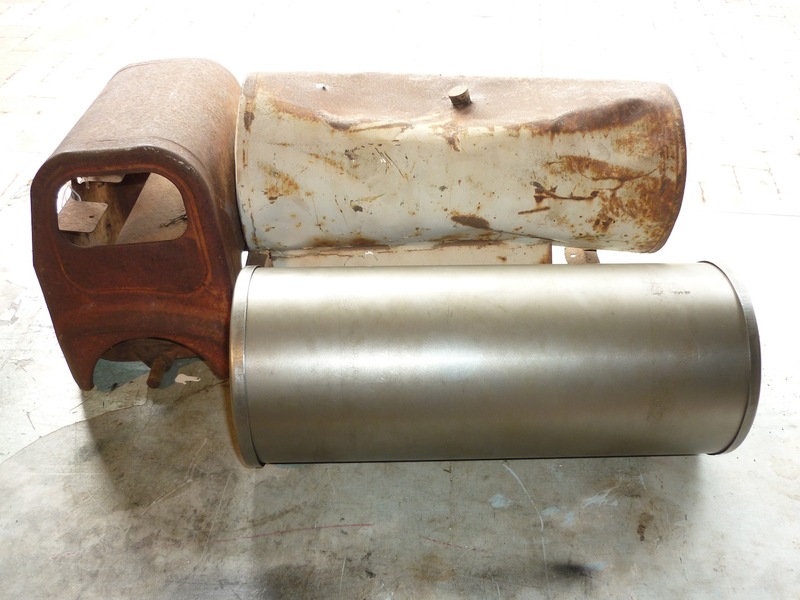 ALL PARTS ARE DESCRIBED TO THE BEST OF MY ABILITY INCLUDING PRE-LOVED PARTS. PARTS MAY BE RETURNED 7 DAYS FROM POSTAGE DATE IF I HAVE BEEN NOTIFIED. 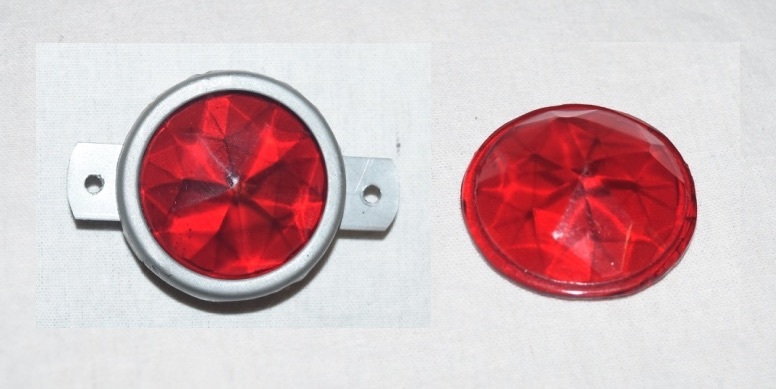 UNWANTED, INCORRECTLY ORDERED OR DAMAGED ITEMS MAY BE SUBJECT TO RETURN. 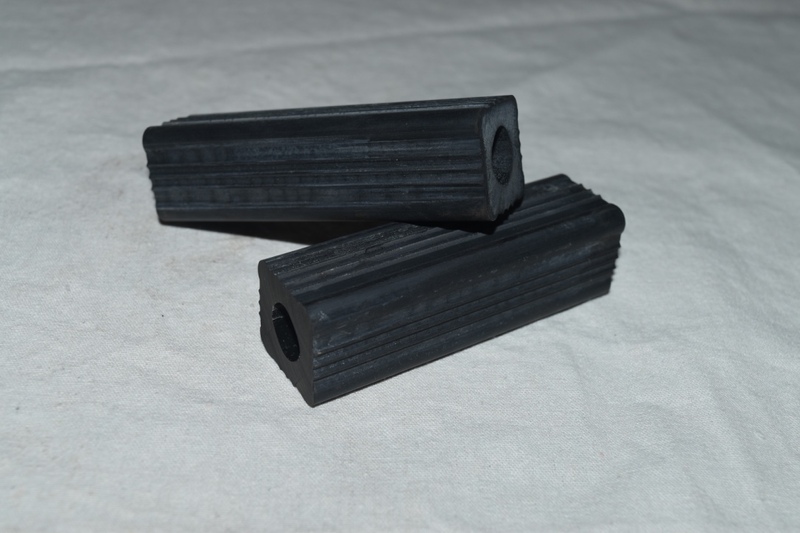 TYRE RUBBER IS NON-REFUNDABLE , ONCE CUT TO REQUESTED LENGTH. 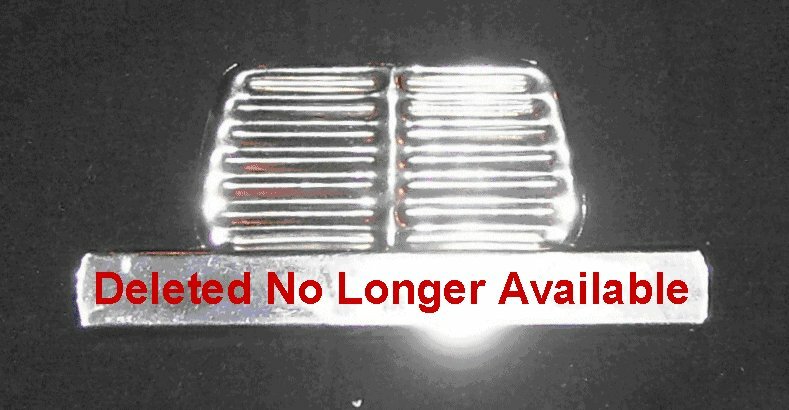 ALL ITEMS ARE CHECKED BEFORE POSTAGE HOW EVER FAULTY NEW PARTS ARE REPLACED RETURN POSTAGE IS NOT REFUNDED.